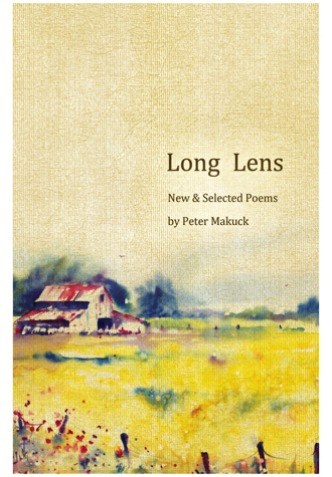 The ‘long lens” of the title poem is not simply the objectivity of the long view—appropriate for a New & Selected (and yet it is that too) but the reach of emotional attentiveness . . . . The easy-going manner of many of these poems should not blinker us to the fact that they are also polished and load-bearing when they seem least to be. Long Lens, in fact, is as accomplished for what it doesn’t do, as for what it does: it reaches for depths without succumbing to the usual sonorities of gravitas; it radiates feeling—the from-the-beyond feeling of absence (so closely tied to desire) and the (necessary) pity of closure, without becoming sentimental; it’s formally adroit without being arty, and its manner invites the reader without manipulation. Makuck’s poems have long been favorites of mine, and I hope his new and selected will bring him to the attention of a new audience who wouldn’t mind being shown, now and then, how it’s done.